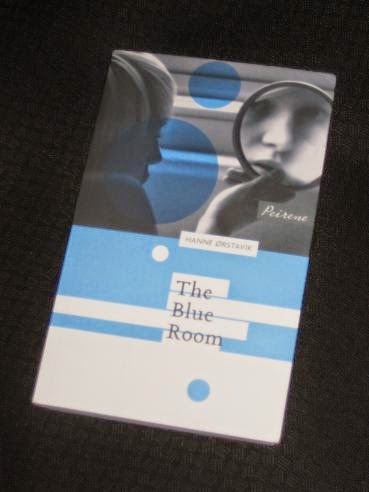 Hanne Ørstavik’s The Blue Room (translated by Deborah Dawkin, review copy courtesy of the publisher) is a psychological novel set in two different places. The first is the blue room of the title, the bedroom of Norwegian student Johanne, where the unfortunate young woman wakes one morning only to find that she can’t open the door – because it’s been locked from the outside. The Blue Room is an excellent book, and after one reading it’s up there with my favourite Peirene books (probably my favourite of the ones I’ve read in English). A fascinating read, it’s also frustrating at times, as the writer takes us on a trip through the psyche of a damaged, submissive young woman. In following Johanne’s thoughts of the past two weeks, we are given a look at the problem of family relationships and the dangers arising when family members become that little bit too close. This simple plea is key to her personality, revealing a longing to be dominated, a wholly submissive nature which is in danger of taking over her life. The relationship with Ivar, which, for most people, would be a joyous time, is overshadowed at times by her depressing thoughts. Her mind is full of disturbing images, her fantasies, nightmares, of what might happen if she allows herself to get swept away. If you’re wondering where this all comes from, you don’t have to look very far. A recent Twitter meme was asking for examples of bad parents in literature, and Johanne’s Mum would be right up there. As well as showing us a fragile young woman, Ørstavik also creates a portrait of the mother as a highly damaging influence, a controlling, manipulative shadow hanging over poor Johanne’s life. This is a mother-daughter relationship which goes a little too far (as shown by some quite disturbing scenes on the toilet..). With Johanne reliant on her mother for accommodation and living expenses if she’s ever going to achieve her plan of building up a psychology practice (an idea which someone else planted in her mind…), she feels as if she’s using her mother, a feeling which leads to guilt. In truth, though, it’s most definitely the mother who is abusing her position. Fantastic review, Tony. I agree with everything you've expressed so brilliantly here. Except one comment: how are you so sure the mother locked her in? Brilliant review, Tony. The Blue Room is such an intriguing book and open to different interpretations/readings. I noticed the recurring references to Johanne's back pain (and discomfort in her head and eyebrows). I'm convinced there's a significance to it, but I couldn't decipher the meaning behind this motif. Sounds interesting. Your review made me think this might be interesting to read in conjunction with The Yellow Wallpaper. 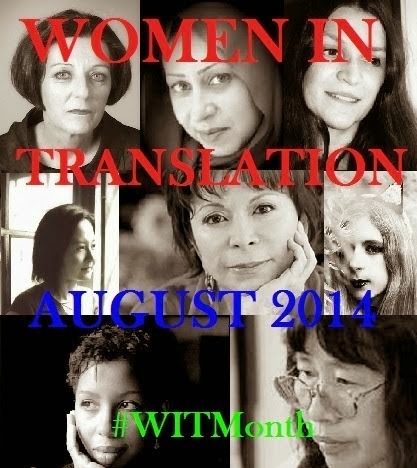 (Have you read it/ It's really just a long short story and available freely online?) Another to watch out for.. I wondered whether the physical pain was a manifestation of her mental torture. Often it's a sign of stress, isn't it? So I've been considering whether it's symptomatic of the pressure she's placing herself under, attempting to live up to ideals she developed through church and her morher's expectations, even though it's evident (particularly in the case of her mother) that these expectations are hypocritical. Ah yes, I could go with those interpretations. As Naomi has said elsewhere, we need a spoiler-free forum for the discussion of this book (and others)..